After hashing out which school to attend, El Jefe (Mr. Muggles) handed out our assignments for the week. I was in charge of initiating at least five pledges into our new secret society. Since Jon was put in charge of coming up with a name and history, I hope he gets me that information before any of the pledges start getting curious. I especially liked the bows at the top of the leggings, so I made sure to get a pair of those. After discussing the type of pledges we wanted to recruit with the team, I started attending some classes. Judging from how some of the more powerful mutunt students treated other, less gifted students, it was clear that the individuals I wanted to recruit were always in the worst seats in class. So I started hanging out with these groups. It took some time, but I managed to make quite a few friends of the male students in this group. Most of the girls just gave me the stink eye; I figured I'd just make them forget all the answers during the quizzes. "What classes are you enrolled in?" I innocently asked one of the guys sitting near me, trying to show interest. "Oh," he responded, "we're all in Mutant Support next period. How about you?" he asked. Feigning surprise I answered, "Me too!" trying to sound as perky as I possibly could; I nearly got ill.
"Cool, we're gonna have a great time," he said. "I'm sure we will," I answered. Quickly ducking into the office and changing up my schedule to get into the right classes, I ended up late to the next period. "Miss....." came a stern voice from the head of the class...turning, I saw it was Cyclops. I tried to conceal my surprise then handed him my new schedule. He looked it over then at me. "Are you new here?" "I feel like I should know you," he said. "Oh, no. I'd know if we'd met before. I just started here," I answered. He motioned to a seat in the back of the class. Taking my place, I grinned at the young man that I'd met in our previous class. After this class, was lunch. I followed the group to the lunch room. Sitting at the table, I asked, "What is Mutant Support all about?" "Oh, it teaches mutants whose skills are not deemed as important or good enough to qualify to be an X-Men," he answered. "When we graduate, we'll be paired up with a primary mutant as a helper." "Oh, that makes so much more sense now," I answered, opening up my milk carton. "Well, Jean Grey was a superior mutant and she was paired with Cyclops as a helper," I explained. At first there was dead silence, then all at once everyone at the table started laughing out loud. "Ok, she's ok," one of the girls said, catching her breath. "So what is your power?" one of the guys asked. "I can temporary control someone's actions," I replied. As an example, I Force convinced them all give me their desserts. "Wow," one guy said. "That's a pretty neat trick. Wish I had that one when I wanted to take the TV from my little brother. Now give me back my Zingers...."
Smiling, I threw them at him. I nodded at the rest of them, "What are your powers?" I asked. "Shape shifter," one girl answered. "Cool," I repllied. "Like Mystique?" "No, just into a basketball," she said. I nodded. "I bet that's great when everyone's balls go missing," I commented. I looked at the person next to her in question. "I bet that's handy when the lights go out," I said. "It sure can be, especially during raves," he answered. "I melt," the next little nerd said and on and on it went -- an entire table of kids with completely useless mutant powers. "Well you know," I began, "When I first arrived, I spoke with Dr. Xavier. He told me that he is sick and tired of this 'I'm a better mutant than you' attitude that seems to be pervading the school." "Really?" one of the kids said in surprise. "Yes, he did," I confirmed. "But he also told me that as mutants, we need to not let the other mutants make us believe we are any less good than they are. That's just what the humans are doing to us." "Well, that goes with out saying," one of the girls said. "So why don't we come together as our own private group to work our own good?" I asked. I saw some lights going on in a few heads. "Sure!" one of the guys responded, then quieted down and leaned forward speaking only in a whisper. "We could form our own team." There were a few more responses around the table. Finally, I also leaned forward and whispered, "There is already an organization here that does that." One of the guys laughed, then said, "Duh, they are called the X-Men." "No, no," I answered, barely above a whisper. I sat up and looked around the cafeteria to see if anyone was paying attention to us: of course, since we were at the nerdling table, no one was. "It's a different group -- one that's actually pretty secret," I said. I leaned forward even further and spoke even more quiet...."And they are looking for new members..."
All eyes were on me -- I had everyone's attention. "Is anyone up for it?" I asked, looking around the table. Some were skeptical, but I definitely saw most of them nodding. "Then meet me after school back in Cyclop's classroom," I said. 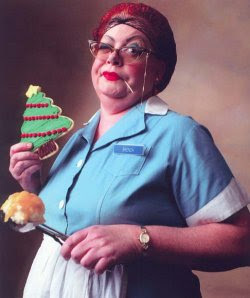 Standing from the table, I took my tray and gave it to the lunch ladies to clean off. Everyone of them showed up. I wasn't necessarily expecting this. "Ok guys," I began, rubbing my hands together, "here's what we have to do to prove ourselves worthy to get into this secret organization...."
"...we have to give Cyclops a bikini wax." There were sudden exclamations of "OH!" "No!" and "That is just WRONG!" The next day I arrived in class and the group was a little worse for wear. A couple of the girls still smelled of burnt hair, one of the guys' eyebrows were completely missing, and my initial friend was suffering from third degree burns to his hand. 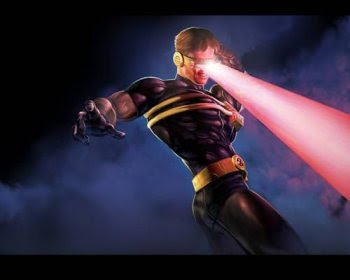 I took my seat and looked up in time to see our instructor slowly shuffle into the room, careful not to let his inner thighs touch: it was Cyclops. "Ok guys, let's take out our texts and turn to page....."
omg! your, like, really brave to sit with the nerdlings! there always so weird! good job of initiating the losers! im sure cyclops is happier w/the bikini wax than w/out it. i always am. there a must! 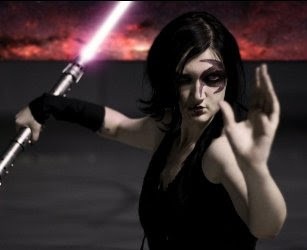 too long sith-girl, way too long. I bet Scott loved doing the bikini wax. He's been wanting to try that for years. And I think I'm going to make those new uniforms manditory for the X-Men. And not just the girls. I think the stocking bows might just bring out Wolverine's feminine side. Oh, Koma...you need to talk to your own team mate - Gyrobo - regarding that issue. And it's not the size of your post, it's how you use it. Prof, I was thinking the same thing. You know, the kids and I were actually thinking that we should next give Wolverine an entire body wax. It would help those stockings look nicer. I'd tell you the name of the Secret Society of Mutants but it's a secret.